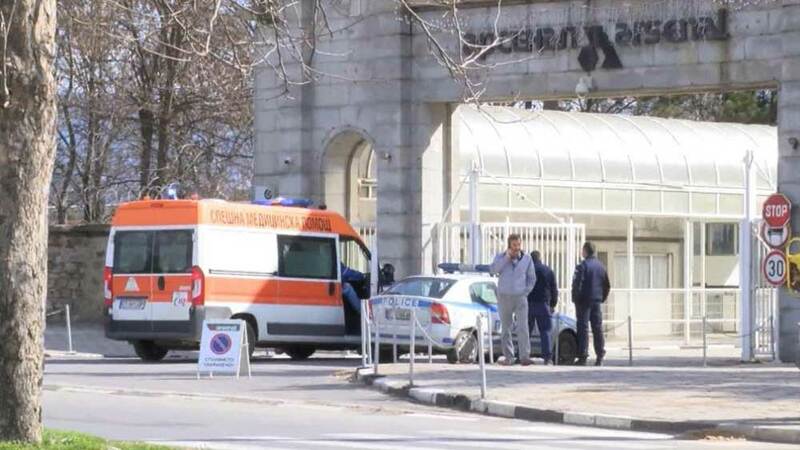 The victims as a result of the accident in the Bulgarian military plant “Arsenal” in the town of Kazanluk on March 14 are already two. The 45-year-old man who had to be hospitalized in a specialized clinic in Plovdiv died shortly after 2am tonight in a hospital in Stara Zagora due to 85% severe burns, reported vesti.bg. The major versions which are being investigated are two – human error or technical defect. The accident was caused by an explosion in one of the workshops, which led to fire extinguished in due time. One 27-year-old man with two years of experience in the plant died immediately on the spot of the accident. Another 45-years-old man with 10 years of experience in the Company was seriously injured and he was given first aid in the Multi-profile Hospital for Active Treatment “Dr Hr. Stambolski” PLTD in Kazanluk and had to be transported and hospitalized in the Burns Clinic in Plovdiv. The accident was reported around 10:20am on March 14. There are material damages as well. The Minister of Interior Valentin Radev said that the control of the work in that room, where the accident has happened, is remote and workers are not supposed to be in it while the working process is on. It will be additionally clarified why these employees were inside at the time of the accident. “This is a room, in which the stirrer is and where a mixture is literally being stirred. The control of that process is installed outside the room, where there is a panel with buttons,” said Valentin Radev. He further explained that the stirred mixture is not explosive and that it is a specific mixture based on gunpowder. The General Director and Chief Executive Officer of “Arsenal”, Nikolay Ibushev, also confirmed that the safety instructions had been violated: “In a room in which there is a mixer for a smoke mixture, and the mixer itself must be switched on to the control panel, which is outside the room, at closed door, due to unknown for us reasons, two workers were inside while the mixer was working,” said Nikolay Ibushev.